I haven’t decided what I’m going to do with this, but now that I have one, it should be something. First post went up today. Moment of panic when I hit send, followed by instant regret. 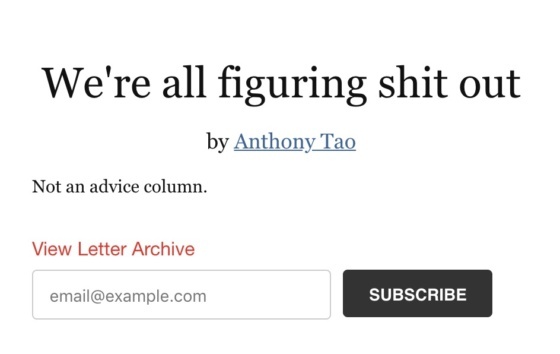 Tinyletter should be fun!